Pleasanton, CA, Oct. 12, 2017 -- Maddie's Fund®, a national family foundation established by Dave and Cheryl Duffield to revolutionize the status and well-being of companion animals, has awarded a three-year $573,536 grant to Pima Animal Care Center (PACC) in Tucson, AZ, to create a large-scale, high volume foster program, as a model program for other U.S. shelters to follow. "This is a game changing project for shelter pets," said Dr. Sheila D'Arpino, Director of Research at Maddie's Fund. "PACC, under Kristen Auerbach's leadership, was our first choice for implementing this project because she has a history of implementing and sustaining ground-breaking programs to save dog and cat lives. PACC is a leading municipal shelter and serves as a model for other municipal shelters around the country." PACC's existing foster program is more traditional in that it focuses on younger animals and those recovering from injury. This first-of-its-kind grant will enable the municipal shelter to expand their impact by also helping a population which isn't typically considered for foster - healthy, adult dogs and cats. "Thanks to Maddie, this program will have a huge impact far beyond our own community," asserted Kristen Auerbach, Director of Animal Services at PACC. 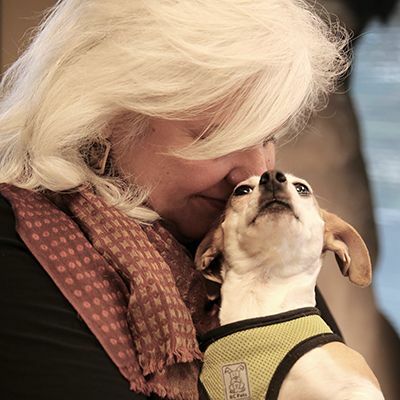 "With this grant, we hope to show the world why foster placement for adult pets has such a huge payoff - it's humane, safe, cost-effective and most of all, it engages more members of the public in lifesaving efforts." Dr. D'Arpino continued, "This project is incredibly valuable because research shows that foster care is a less stressful place for pets to stay while they are waiting for a home; and this grant is helping to build a foster centric model of animal care at a municipal facility. It will also allow us to look at the impact of this innovative program on PACC, the financial impact of implementing the program, and the feasibility of implementing a similar program at other shelters." The goals of this expanded foster program include decreasing the time spent in a shelter for adult dogs and cats, improving welfare, reducing the overall number of pets housed at PACC and providing a lifesaving pathway for pets who experience emotional decline due to the stress of living in the shelter environment.